A Lido worth celebrating – Joyce's mystery and fiction book reviews with some non-fiction too! The Lido is simply a lovely book. It is a story of friendship between the generations and the joys of community. Kate is a twenty-six year old reporter who suffers from a panic disorder. She is assigned the story of the lido, an outdoor pool, that is threatened with foreclosure. In covering this story, Kate moves ahead in her own life. Kate works with eighty-something year old Rosemary on the lido campaign. The story of the lido links with Rosemary’s childhood and marriage. Widow Rosemary recalls the love of her George throughout the novel in touching and moving ways. 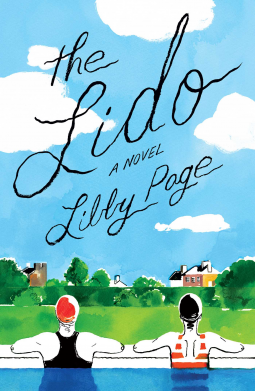 Surprise of this book…author Libby Page is only in her 20s and this is her first novel. Bravo Ms. Page! You have written a sweet, touching and life-affirming story. Thank you NetGalley!